Authorities on Wednesday were searching for two federal inmates who walked away from a prison camp in Dublin two days earlier. The United States Marshals Service said Anna Armstrong, 34, and Irene Michell, 37, walked away from the minimum security federal prison camp in Alameda County at around 7:15 p.m. Monday. Armstrong was serving a 63-month prison sentence for federal narcotics charges. Investigators said she may have extensive family ties at Lancaster in Los Angeles County and to Yuma Arizona. Armstrong is described as standing 5 feet 5 inches tall, 175 pounds, and having brown hair and brown eyes. Michell was serving a 110-month prison sentence for federal narcotics charges, officials said, adding she has a lengthy criminal record in several states. She is described as standing 5 feet 8 inches tall, 180 pounds, and having brown hair and brown eyes. Michell also has a neck tattoo which reads "Adan." 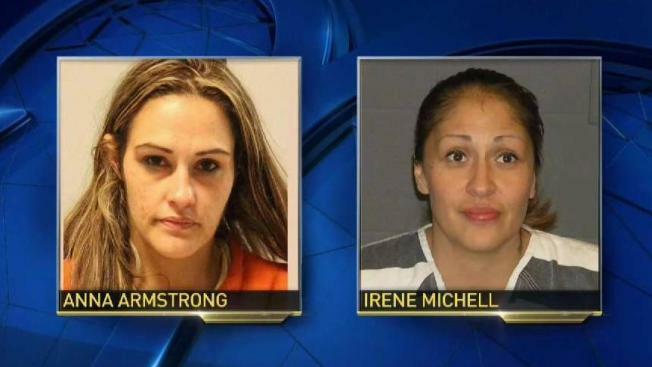 Federal and state authorities are actively searching for Armstrong and Michell. Anyone with information can call the U.S. Marshals Service fugitive tipline at 1-877-926-8332.